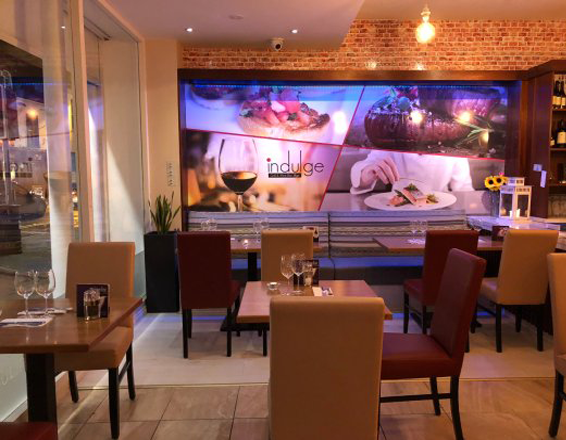 Indulge is Sligo’s newest restaurant centrally located in the heart of Sligo on O’Connell Street. A great place to eat combining an intriguing atmosphere with excellent interesting food. Our influences range from street food to fine dining, but we want it all to be casual experience for you. Our mission is not to have great tasting food, but have an efficient and friendly service. Our team of highly experienced chefs has put together a choice of food which covers all palates including healthy choices for the Little Dudes. Our menu influenced by cousins from all over the world.